If you own a charm bracelet, every individual charm is meant to tell a story. That is the premise behind Melissa Hill’s latest wonderful novel, The Charm Bracelet. Births, marriages, graduation, moving home, a new job – all of these can be remembered and treasured by a small and well thought out charm. So, imagine how it would feel to lose such a precious set of memories or what you might do if you found one. Could you possibly trace the owner by piecing together all of the different stories that the charm bracelet can tell? Holly O’Neill loves her charm bracelet and each individual charm is very special. They tell the story of her life from the death of her father to the start of her first job and then later the birth of her young son, Danny. She loves her work in a New York vintage clothes shop and cannot believe it when, lost in the lining of a donated coat, she discovers a charm bracelet quite similar to her own. Knowing that the owner must be devastated to have lost it, she decides to try and trace her by working out the meaning of the charms. It’s a bit like looking for a needle in a haystack but will be worth it if successful. What follows is a wonderful tale that sees Holly’s efforts to trace the owner through the fascinating clues that the charm bracelet yields. Alongside this, we learn much about Holly and the somewhat lonely life that she has with her young son. There’s also another story that is unfolding in another part of the city which is obviously linked somehow, but, in true Melissa Hill style, she teases the reader and leaves one guessing as to how these separate stories will fit together. The Charm Bracelet is a warm and enchanting story with an almost magical feel to it. Most of the characters are quite loveable and it is easy to become very involved in their stories – the ups and the downs. I loved the backdrop of the vintage clothing store and there were some great descriptions of some of the clothes that were being sold. Also, although not a charm bracelet wearer myself, I could appreciate the sentiments behind the separate charms and enjoyed seeing how each told a story. Melissa Hill also always likes to provide a twist or two for her readers and it’s the same in The Charm Bracelet. Maybe, because I have come to recognise this as a trait of her writing, I was ready for it but it still comes as a surprise. 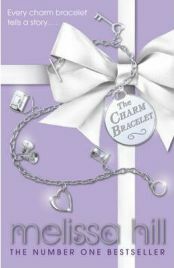 The Charm Bracelet is a lovely read especially if you are looking for a little bit of escapism. An intriguing story, warm characters and a few surprises – what more could you ask for? No Comments on "The Charm Bracelet"